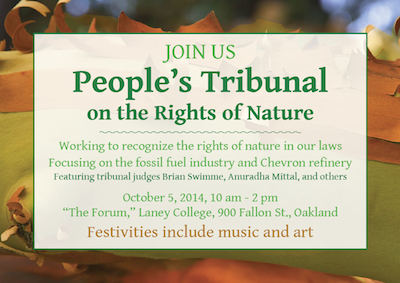 This Sunday, October 5th, allies in Oakland, California will unite to hold a ‘People’s Tribunal on the Rights of Nature’. 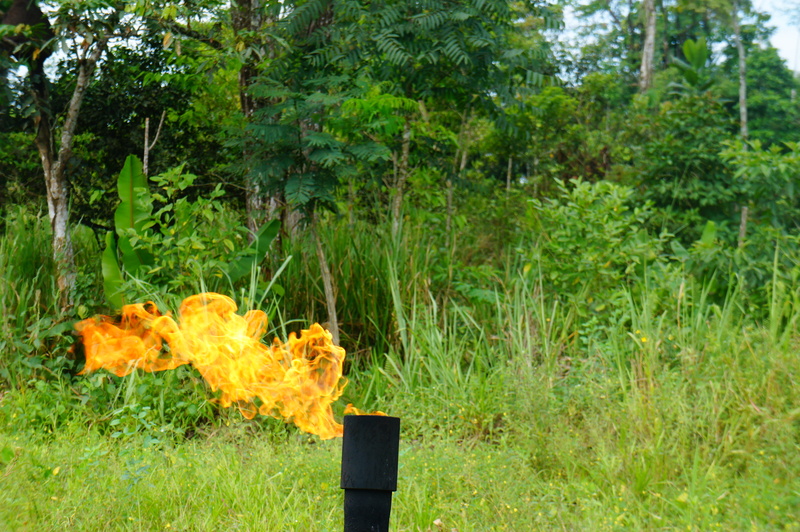 The proceedings stem from a growing movement that seeks to highlight and protect Mother Nature’s inherent and inviolable rights, exposing and putting on trial violations of the Earth and its communities at the hands of the Chevron Corporation. Using a recent refinery explosion in Richmond, CA as a case study, the People’s Tribunal will demonstrate exactly how a new legal framework, embedded in principles of the Rights of Nature, can be used as a tool for ending corporate exploitation and building climate resiliency and solutions. The event, organized by the Bay Area Rights of Nature Alliance as part of a global Earth Rights Day of Action, will be held between 10 am and 2 pm at the Laney College’s Forum in Oakland, CA. Crucially, the Tribunal will serve as forum to strengthen tactics used at the first International Rights of Nature Tribunal in Ecuador last year, and to prepare for upcoming international Tribunals in Peru in December 2014. Taken together, these three powerful tribunals have the potential to chart a new course and provide tools for communities to exercise their rights, protect Natures Rights, and begin to stop environmental and social degradation. WECAN International Executive Director, Osprey Orielle Lake, will serve as a moderator of the People’s Tribunal on Sunday. The event is free and open to the public, however requires registration at http://therightsofnature.org/events/bayareatribunal.